Sony just announced its new phone Xperia ZR which is essentially same as internationally launched A but only to be released as of today in Japan. 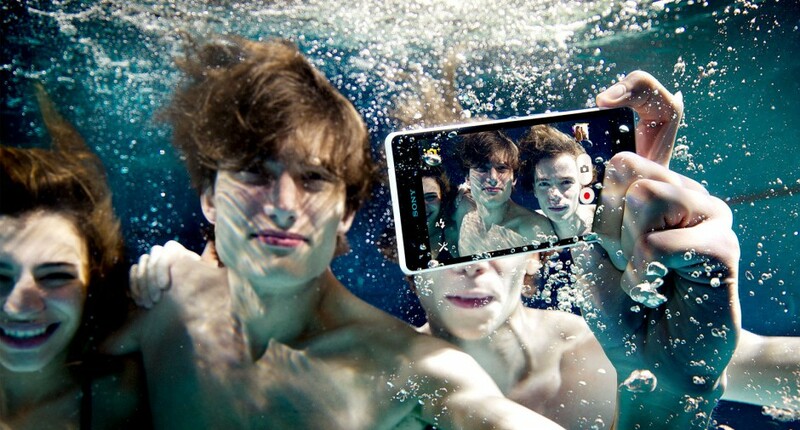 As you all now one of the many features of Xperia Z was that it could take a dip in the pool and work fine the next second. Sony has continued the same theory forward with Xperia ZR but with lesser hardware then Z. It has cut down on the screen resolution and on-board storage in the Xperia ZR hence ZR may be considerably cheaper then Xperia Z. Other than above most specs are almost identical to Xperia Z. Lets take a look inside Xperia ZR. The phone runs on Android 4.1 along with the custom Sony UI. The ZR will come prebundled with Sony Music App and Sony LIV streaming App. It will have Quad band 3G support and LTE support. Though LTE support phones may not be available in India and other parts of world. It will have a 4.55 incher display and will not have the full HD resolution the Xperia Z has. All the camera features from the Z are available in the ZR, which includes HDR for video as well. Features and performance should be very similar as well. It will have a pixel value of about 320 ppi. It will have all the trappings of the modern smart phones like Wi-Fi ‘n’, Wi-Fi Direct, Bluetooth v4.0, NFC and video out via MHL. There’s no mention of GLONASS, but I think ZR packs it. The Xperia ZR will be powered by the very same chipset that fuels the Z. It will have Qualcomm’s Krait CPU architecture, each core of which runs at 1.5GHz. The chipset is accompanied by 2GB of RAM along with Adreno 320 graphics. The area around which the Xperia ZR differs for Z is definitely its form factor. It is bigger at 10.4 mm and lighter by about 4 grams. The 4 grams are probably sliced off due to shedding the glass back. ZRs back panel seem more of ZL then Z, but buttons are same as on Z. Another space where ZR rates lower than Z is the onboard storage which has been cut down to 8GB, out of which even lesser will be available to the user. For memory hogs out there, there is always the microSD card slot for expansion. And the area were ZR differs the most from Z is the IP58 Certification, Z has a IP57 certification which means that Z can be used underwater upto a depth of 1 meter but ZR can be used at a depth of 1.5 meters. This is the complete breakup of the Sony Xperia ZR and with all its hardware and software it should be available for a cheaper price then Z. Looks like Sony's got itself another winner after Xperia Z and Xperia SP. Write in your comments on this phone.